It’s been a breeze. A frigid Northeasterly one, at that, him having traded in the sun-splashed lifestyle of Southern California for the dastardly cold of New Haven, Conn., winters. But Nathan Chen’s first semester of college went according to plan. In the classroom around Yale University and on the ice worldwide. At 19, Chen, the reigning world champ, remains the wunderkind of the sport. His repertoire of quadruple jumps remain ever intact, but for the first time, he’s had to maneuver this life as a budding star Olympian alone. Chen left the greater Los Angeles area this past summer, leaving behind family, his home ice, his coach and his support system to attend one of the most prestigious universities in the country. He didn’t reveal his exact GPA, but said there were A’s and B’s sprinkled in. Chen grew his hair out a bit longer than normal, too. No longer surrounded by world class skaters at his home rink in Lakewood, Calif., he soon learned that in order to get in the necessary ice time in New Haven, he’d have to figure out what time the hockey team laces up skates. Chen is now able to get in about 90 minutes of ice time Monday through Friday at a nearby rink. And he’s out there practicing alone, less than a year removed from the unforgettable pressure-cooker that was his Olympic debut. Everything’s changed, but nothing has changed. Chen rebounded from his fifth-place finish at the 2018 Olympics in Pyeongchang to win the 2018 world championships a few months later. Chen’s momentum continued into the start of the international skating season as he won Skate America and later another Grand Prix final. This weekend in Detroit, the Salt Lake City-raised star takes aim at a third straight U.S. title in men’s figure skating. The prohibitive favorite, Chen would become the first skater since Johnny Weir to three-peat at U.S. Championships. 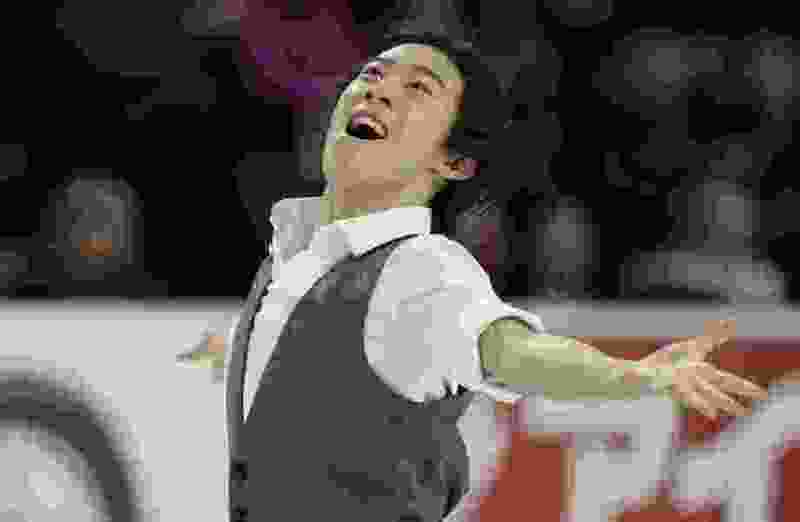 He chooses to try and ignore the outside noise as best as he can, the noise that pins him the favorite to win another U.S. crown, even though if he skates cleanly and doesn’t unleash his full arsenal of quads, he should win handily. But he has to cram the rare moments of being back in Southern California just like he had to for exams in his first semester at Yale. Chen recently spent two weeks back home and spent much of the time training with his coach, Rafael Arutunian, who playfully pleaded with Chen to move back so they can work together once again on a full-time basis. Balancing a first year at an Ivy League institution and remaining one of the best figure skaters around isn’t an easy accomplishment, but one that Chen has figured out in his first go. He plans for another full year at Yale at the conclusion of the spring semester. Then he’ll re-evaluate what makes the most sense for his academic future and his skating aspirations, which remain as high as ever. Chen said he learned so much from everything that transpired last year, from the heavy spotlight heading into the Olympics, to the devastation of a short program gone so awry to a memorable and historic free skate that saw him set a record for quads attempted and landed in a single routine. Then, of course, rebounding to win world championships for the first time ever. Once nationals conclude, Chen has to figure out what courses he’ll settle on in his second semester. He registered for 10 hours and then will be able to whittle it down from there. It might seem extraordinary to be able to maintain what he’s still accomplishing on the ice, but add on a full-time course load at Yale, and it’s clear not much can overwhelm Nathan Chen.